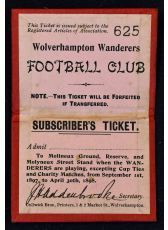 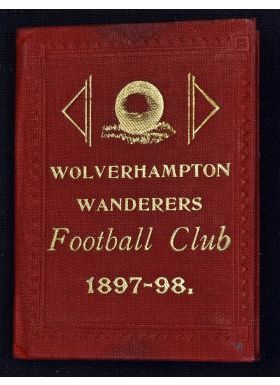 18/97/1898 Wolverhampton Wanderers season card for the Molyneux Street Stand, subscribers ticket no. 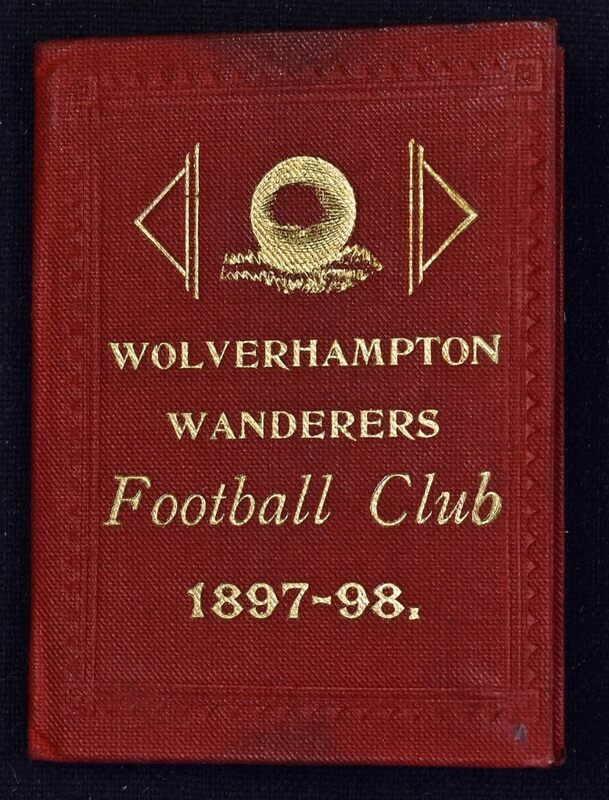 625 comes complete with a brown cover with the lettering J. F Steward thereon. 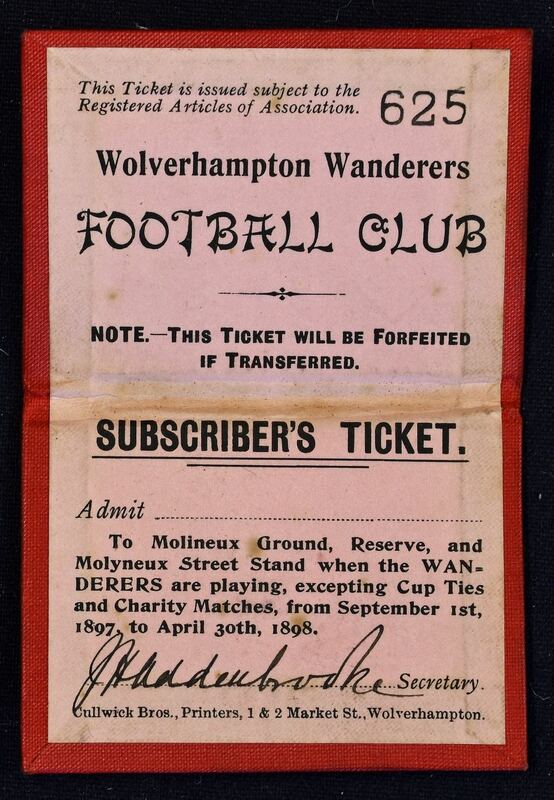 Very Scarce item, good condition, worth a view.